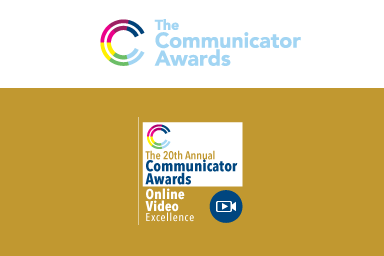 We garnered three prestigious 2014 Communicator Awards, including the highest Award of Excellence in the category of online videos by a nonprofit organization. Winners were announced by the Academy of Interactive and Visual Arts in New York on April 29. With over 6,000 entries received from across the US and around the world, the Communicator Awards is the largest and most competitive awards program honoring creative excellence for communications professionals. Picture Alternatives’ one-minute trailer received a top Award of Excellence for online video by a nonprofit. The organization’s two-minute healthy-parenting animation, “The Choice,” garnered two Awards of Distinction—one in the nonprofit category and the other in the contest’s animation category. These recent honors follow on the heels of our September awards from the U.S. Centers for Disease Control and Prevention for our 60-second teen-dating-violence public service announcements. All four of our video productions have now won national awards. And that’s just in the first year and a half of our existence as a nonprofit. We love using creative media to combat violence. We also love it when our works gets noticed. It means we’re advancing the cause. Check out our Showcase tab to see the videos. Kudos to everyone who worked on the productions: “The Choice” was written and directed by Jill Aske, Picture Alternatives’ creative director, and animated by Cecilia De Jesus, with editing by Kevin Thompson and music by Dan Raziel. Aske and Thompson also teamed up on the trailer, whose original music was composed by Giona Ostinelli.